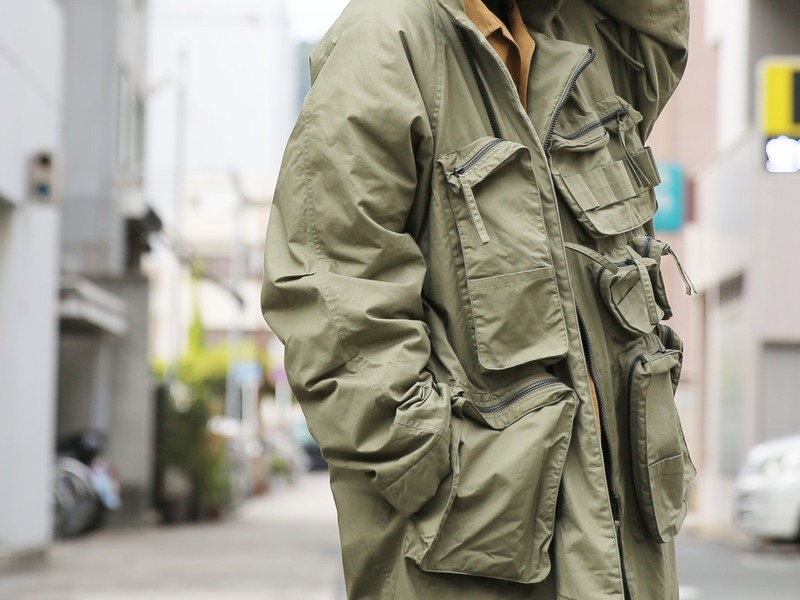 When you’re Google Translating text from Japanese menswear sites into English, it’s rare to find much of worth. Usually you get an apparently abstract block of breathless adjectives. And from this you try and pull the ethos of a freaky-looking brand you’ve never heard of. However, in the case of this coat from Humis two words stick out. “Overwhelming presence.” It’s a phrase at once perfect and arguably inadequate. This coat is legion. A great wall of fabric and pocketing seemingly built to withstand elements both known and unknown. Should you to be performing a wartime exorcism I can imagine no better place to store your grenades and rosary beads. 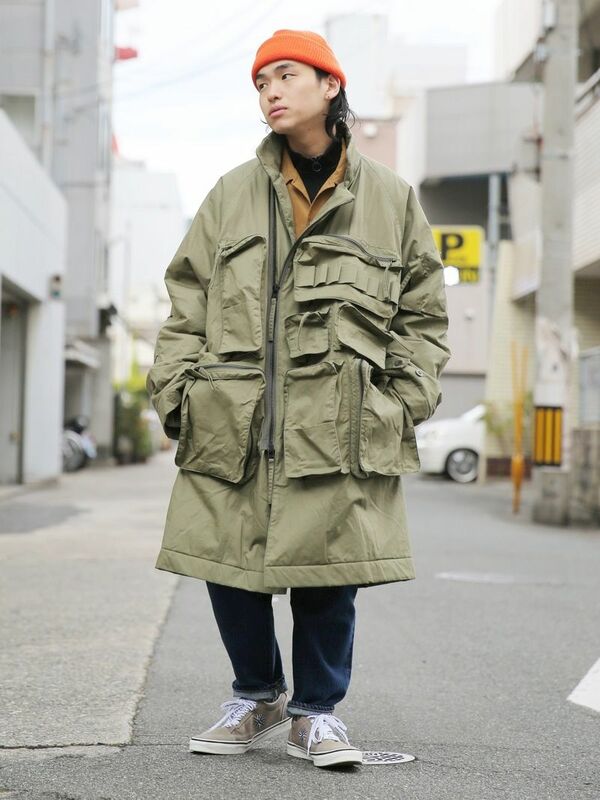 Founded in 2014 by Takahumi Nohara, Humis offers slouchy, military and sportswear inspired pieces. Boxy and bold and frequently boasting the kind of unusual button placements and tricksy details that catch the eye of the menswear fancier. The brand remains unavailable in the UK, which is a shame. 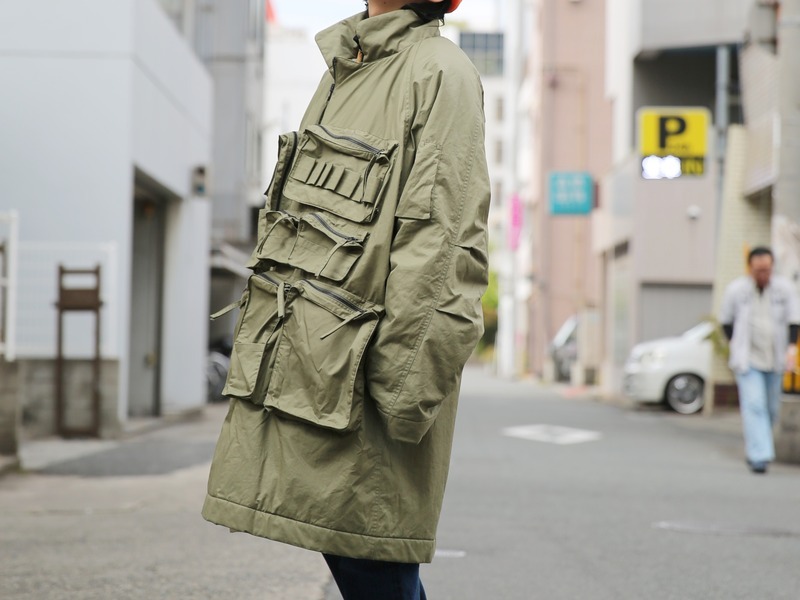 This piece in particular, the ‘Deformation Military Raglan Overcoat’ to give it its proper title, is off-the-charts berserk. Again, using Google Translate to reveal specific details about the coat is as useful as reading tea leaves. 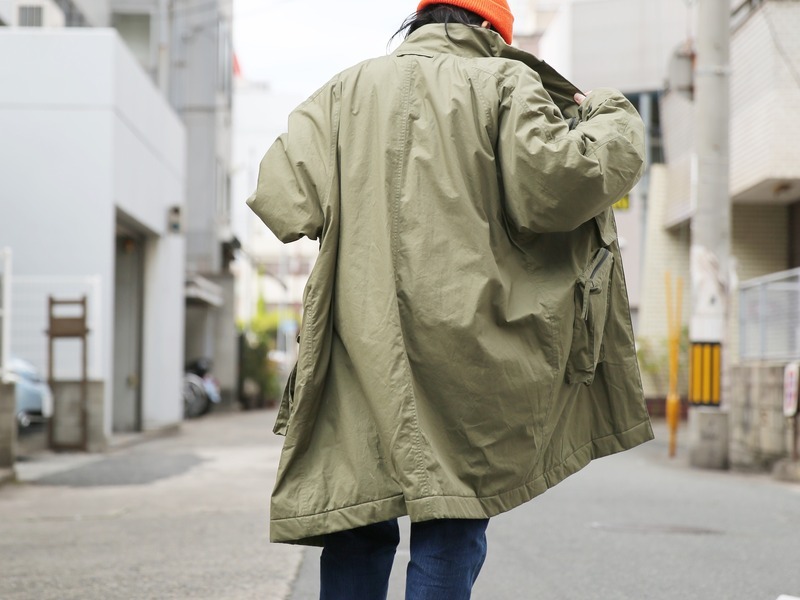 However I believe I can say with moderate confidence that it’s cotton, features a ripstop cotton lining, has a couple of hand-warmer pockets hidden in there and, um… there’s a hanging loop in the collar. The rest you’ll have to divine from the images.